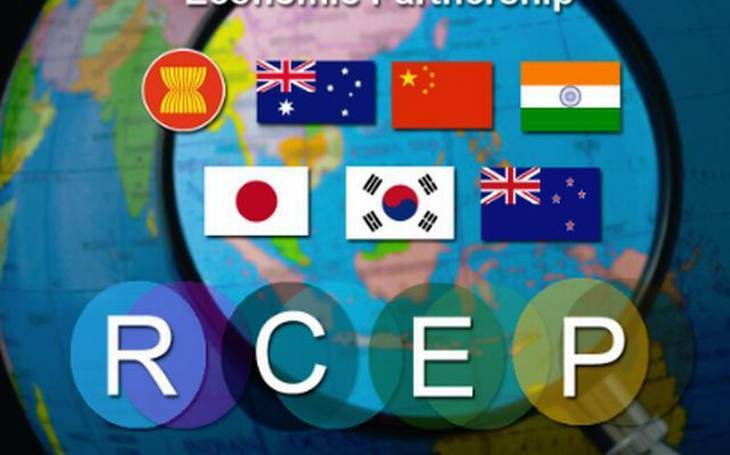 KUALA LUMPUR (THE STAR/ASIA NEWS NETWORK) - The ongoing trade tension between China and the United States has provided the impetus for an early conclusion of the Regional Comprehensive Economic Partnership (RCEP), said Malaysia’s International Trade and Industry Ministry. Its deputy secretary-general Norazman Ayob said there was "renewed momentum" to substantially conclude the negotiations by the year-end. He said this was because Malaysia, together with other economies, had agreed that the RCEP - which does not include the US - would present huge trade and investment opportunities amid the trade conflict between US and China. "Chief negotiators, including myself, (the ministers) of the 16 countries - the 10 Asean countries plus India, China, Japan, South Korea, Australia and New Zealand - have just concluded our discussions this week in Jakarta before this weekend’s meeting of trade ministers in Singapore," he said at the China Conference organised by the South China Morning Post in Kuala Lumpur on Thursday (Oct 11). He was delivering the keynote address on behalf of International Trade and Industry Minister Darell Leiking. The RCEP, said Datuk Norazman, had the potential to become the world’s largest mega free trade agreement with an integrated market of 3.5 billion people. When asked if the RCEP could co-exist with the Comprehensive and Progressive Agreement for Trans-Pacific Partnership (CPTPP), he said the government’s focus was very much on RCEP as it was Asean-driven. "We believe the regional collaboration we possess at Asean level provides the best opportunities in inserting our economic interest," he said during a question and answer session. "As far as the CPTPP is concerned, Malaysia has signed (the agreement). "Mexico, Japan and Singapore have ratified the agreement. Vietnam is ratifying," he said, adding that the new Malaysian government was reviewing all the free trade agreements to ensure that they were mutually beneficial and that the negotiation would not be dominated by any one economic power. Mr Norazman admitted that the negotiation was challenging due to the different levels of development between the countries involved. He said the fact that some countries such as India would be holding their general election was set to intensify the process. "Some countries will be holding their general election next year. So, they hope we can conclude as soon as possible - before the general election," he said. Besides India, Australia is due to hold an election next year. Negotiations for the RCEP have been ongoing since 2013. The CPTPP is the rebranded Trans-Pacific Partnership Agreement (TPPA) that "collapsed" after US President Donald Trump decided to withdraw the United States from it in January 2017. The other signatories are Australia, Brunei, Canada, Chile, Japan, Mexico, New Zealand, Peru, Singapore and Vietnam. On another matter, Mr Norazman said the ministry planned to initiate the second cycle of the five-year Economic and Trade Cooperation Programme in 2019 between Malaysia and China. "We hope that this will be driven by the chambers of commerce in the two countries. "Such programmes are not meaningful if the businessmen do not like it," he said, adding that it would be recalibrated according to their needs.